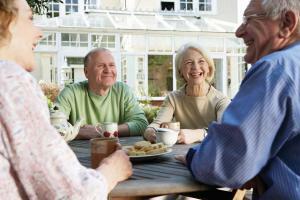 Jewish Senior Housing and Healthcare Service – Independence. Affordability. Community. Tradition. Life at a Jewish Senior Housing and Healthcare Service (JSHHS) community offers all of these things: independence, affordability, community and tradition. 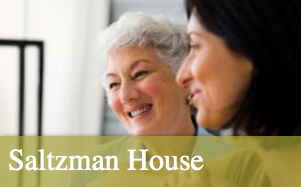 At JSHHS, we provide three safe and affordable independent living apartment communities where seniors can age comfortably while enjoying a carefree lifestyle, Jewish traditions and the camaraderie of a caring community. JSHHS is a not-for-profit agency committed to providing the benefits of quality housing and compassionate healthcare services to limited-income seniors and their families. Our community-based housing creates a dignified and respectful environment consistent with Jewish values. We are widely recognized for the quality of our communities and for the excellence of the services we provide to our residents. Through collaborative partnerships, we honor our seniors and strive to offer them excellent programs to enhance their social, cultural and spiritual well-being. Conveniently located on Chapel Avenue, The Bernard Dubin House is a vibrant and supportive community featuring 144 fully equipped apartments, as well as attractive and inviting common spaces, courtyards and grounds. Like all JSHHS communities, residents at Gesher House enjoy the balance of activity and new pursuits with privacy in the peacefulness of their apartments. Gesher House features 74 apartments and is located on West Chapel Avenue. Saltzman House features 104 apartments and is located on Springdale Road close to everything you need. Offering social, cultural and recreational programs designed to facilitate healthy aging, Saltzman House fosters independence and dignity. Lions Gate, a component of JSHHS, is a full-service continuing care retirement community dedicated to lifelong happiness, comfort and care. It offers Independent Living and a full continuum of on-site care including Assisted Living, Skilled Nursing and Long-Term Care, Short-Term and Outpatient Rehabilitation, Memory Care and Home Care.